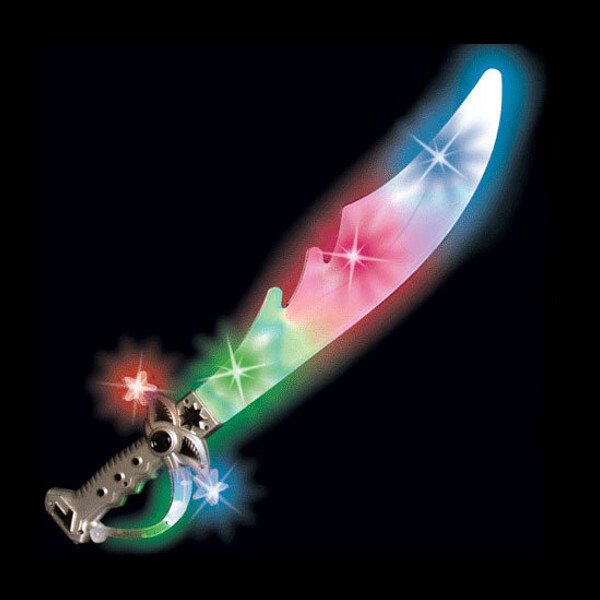 This buccaneer sword is nearly twenty-two inches long with 6 LEDs. There's one bright LED right on the handle! Along with another 3 on the actual sword. 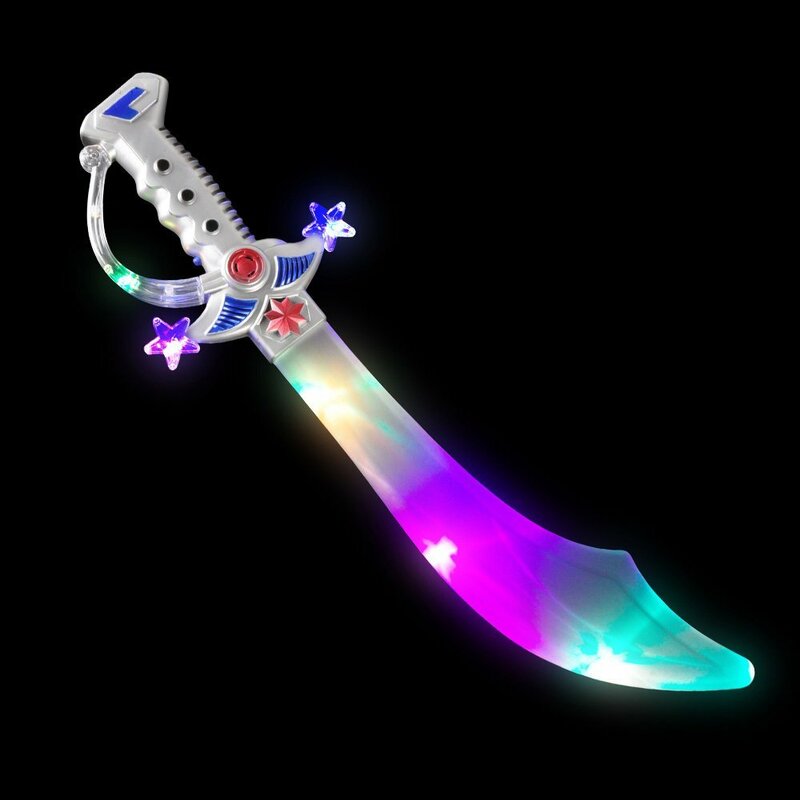 Lights shimmer and slashing-noises go off when you swing the sword. Great asset for your role-playing games and parties. A favorite at raves, concerts and parties. Kids go nuts over these.